Should the former things be forgotten? Tonight is traditionally a time when Auld Lang Syne is played and sung at different points around the globe. Each time I hear it performed, it seems to project a nostalgic sadness to the audience. The sentiment might be, "The past is gone and oh, if we could just go back and recapture what we used to have." I can certainly identify with that feeling. Friends and loved ones who are no longer living have deposited priceless memories into our hearts. If we could just go back…. While God surely wants us to remember the journey we have taken up to this point and acknowledge His faithfulness at every turn, we need to look ahead at what the future holds. Our past failures have been forgiven. Dwelling on our mistakes can keep us from the path in front of us. 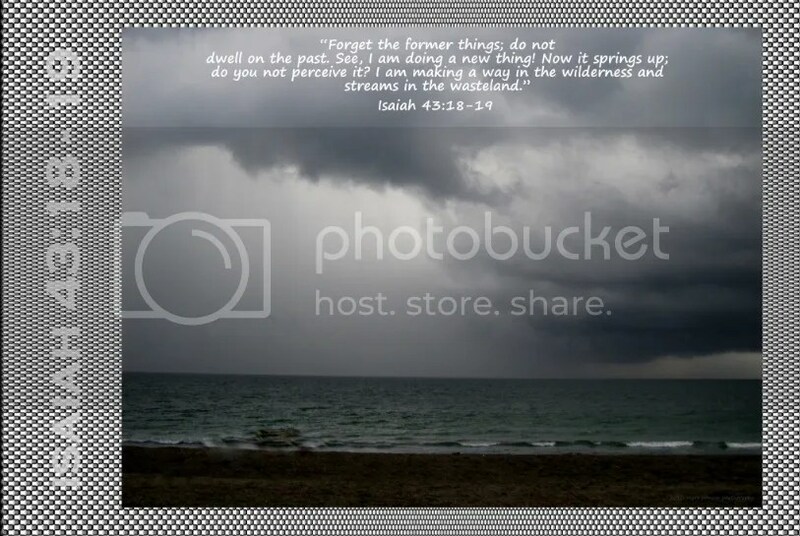 More suddenly than the dark clouds of an afternoon rainstorm can appear in the sky, bringing life-giving rain to the soil below, God can change any situation. What is bad can change to good. Wht is good can change to better. What is better can become the best. An old greeting used to be, "What’s new?" This has been replaced with, "What’s up?" As Christians, we should all look ahead each day to see "what’s new" with God. Auld Lang Syne is about the old days and times gone by. Maybe there should be a song about the new day that God is creating for us. Don’t you want to celebrate what’s new? I needed guidance and peace in my heart tonight. With a great many thoughts flooding my mind, I began a most difficult task—-cleaning out a closet. While doing so, I decided to listen to some music on my computer. I chose to have a certain mix of songs from several artists playing. At some point, a Bible study began to play that I had copied from discs onto my laptop. For some reason, the tracks played in an order that gave me part of the Bible study, then a song or two, then another section of the study. Although I had listened to the speaker many times before, part of what I was hearing this evening was going straight to my heart and landing at the place that needed the understanding the most. 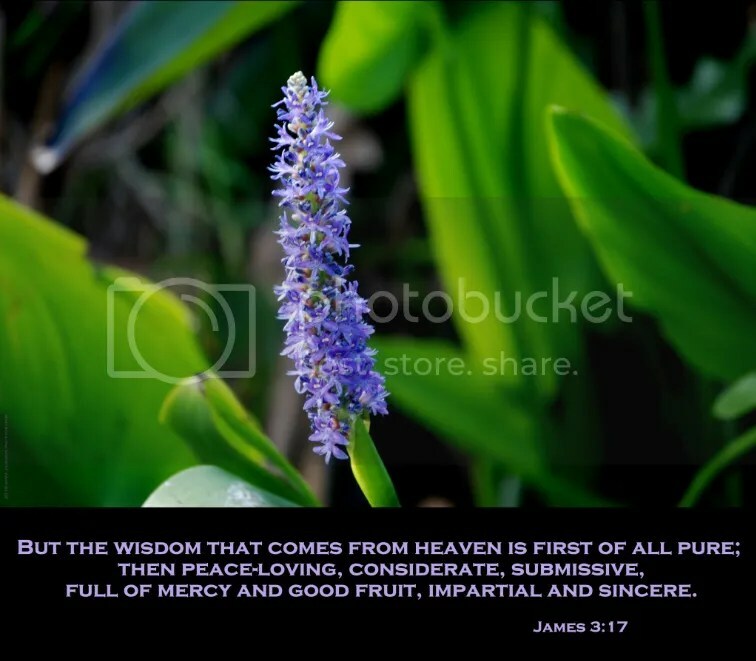 God was instructing me and bringing biblical truths to my attention once more. The topic the teacher had chosen was my very dilemma. God is bigger than my problems. 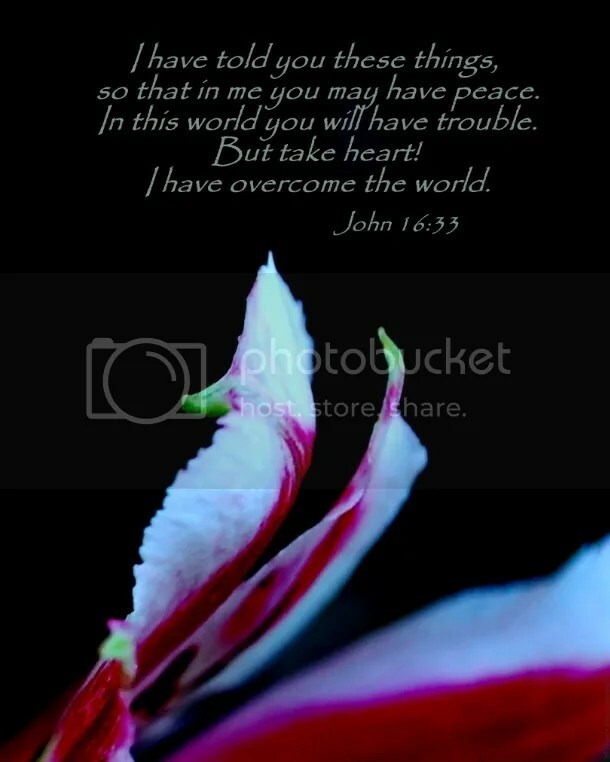 I need to listen to Him…..He has overcome the world. What do you think of when you hear the word celebrate? Your own personal thoughts about celebrating most likely involve expressing an inward joy with an outward display of some kind. Birthdays are often greeted with a special cake and candles, streamers, balloons and cards. Christmas is filled with gift giving and caroling. Do you think of worship as a celebration? 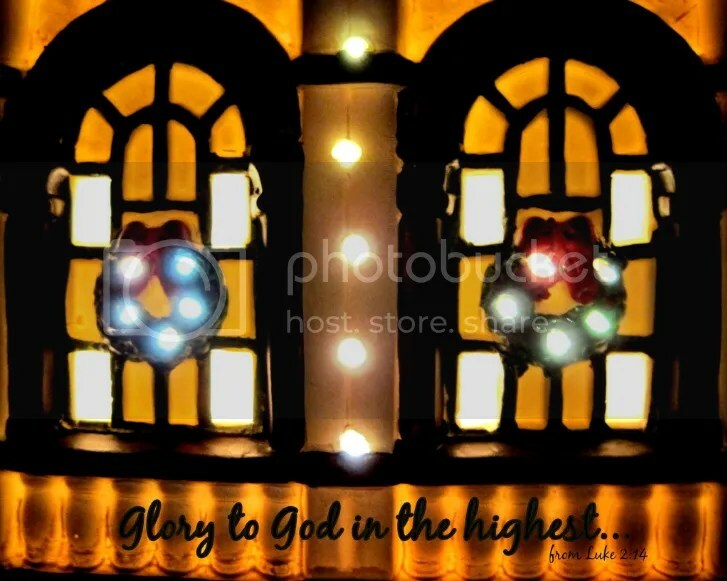 Although worship can be expressed in many ways, a celebration or joyous display could certainly come to mind. Psalm 68:4 reads, "Our God, you are the one who rides on the clouds, and we praise you. 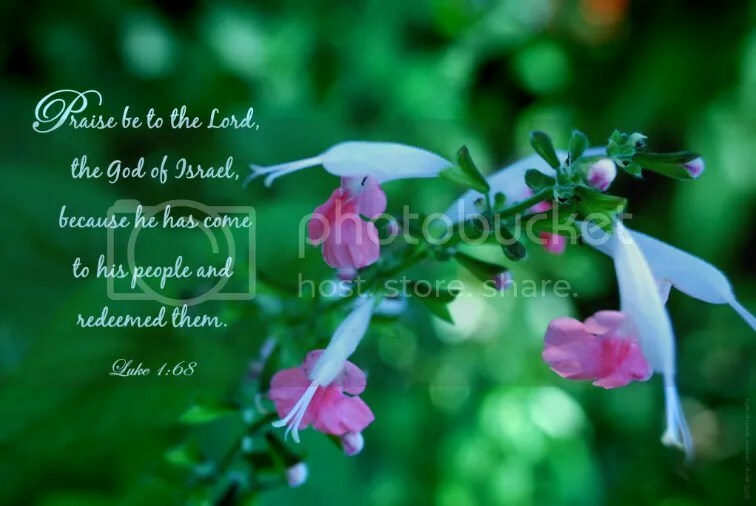 Your name is the Lord, and we celebrate as we worship you." As believers of the Lord, we have cause to celebrate. We have been granted a home in Heaven for eternity. He is there to guide us through every moment. 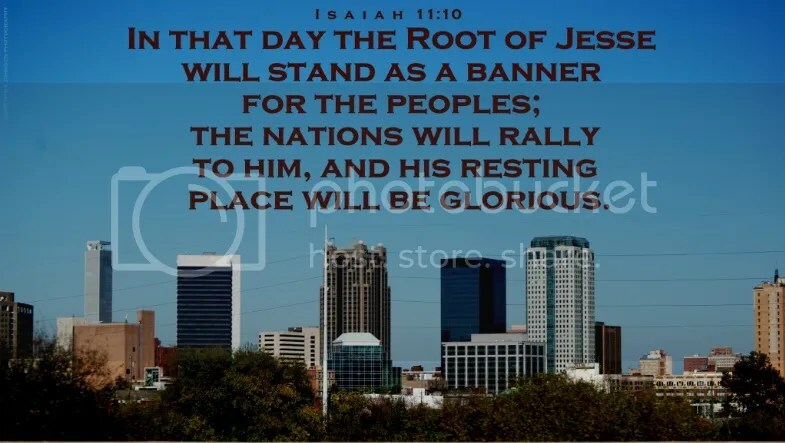 As we live out each day, how can we celebrate and worship our Lord and Savior, Jesus? My sister gave me a birthday card. Inside the card was a twenty dollar bill. It seems that I almost always have a similar thought process when I receive money as a gift. How should I best spend this money? How could I honor their giving? What could be purchased that would be meaningful? Knowing that one of the Bibles that I often use is beginning to show wear and tear, I decided to buy a Bible cover/carrying case. 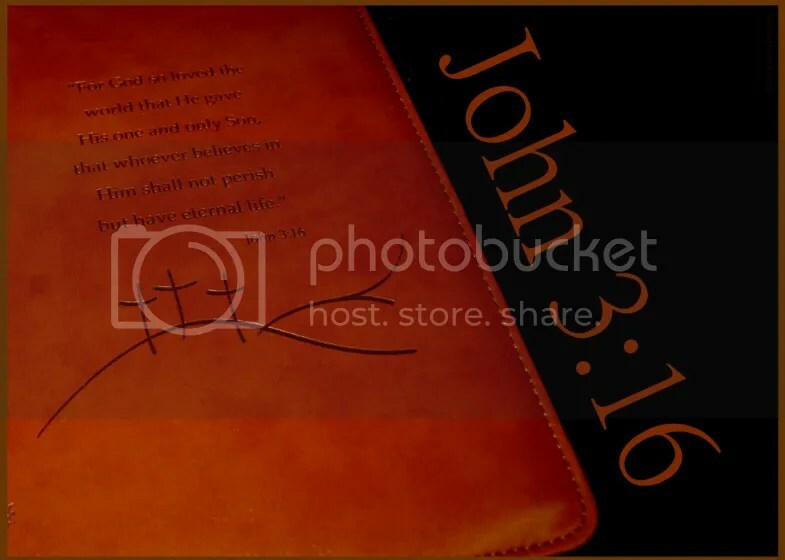 My selection was a leather-look vinyl cover with a verse on the front cover—John 3:16. From now on, no matter where I lay my Bible, if someone sees the cover they will probably read the scripture. There’s one more thing–there are three crosses on the front cover as well. In just a few second glance, the gospel in a single written verse coupled with a visual representation of Jesus’ sacrifice will be brought to the attention of all those who notice it. I believe my sister would be pleased. Surely this was a meaningful purchase that honored her giving. God blessed me on my birthday with her generosity. 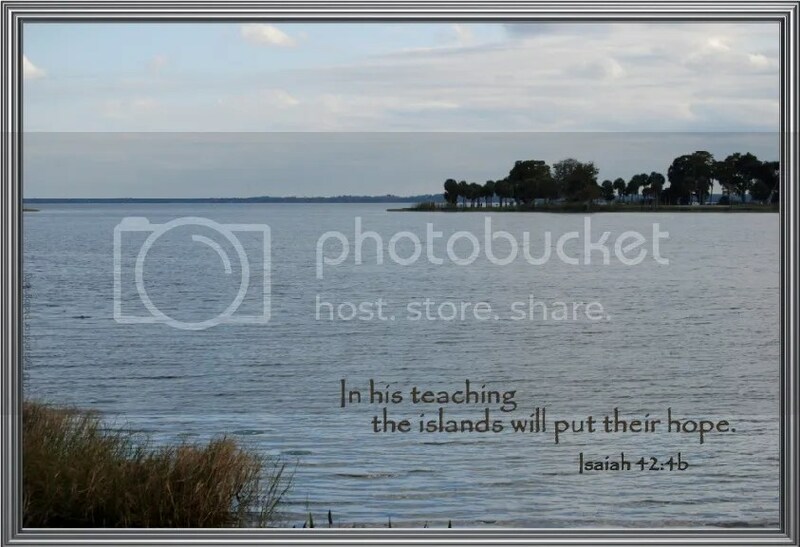 He will bless others through the witness of His Word. The forecast for my town this evening is a bit…..chilly. At least, for around here. Falling just short of the line that begins a tropical climate rather than sub-tropical, it is generally warm here for most of the year. That being said, there should always be room for the unusual—the unpredictable. Having spent quite a bit of time today outside with my husband preparing for such an unusual occurance, I can speak first hand about these things. We were covering trees, plants and bushes with blankets and sheets—and even one table cloth—to help sheild their delicate tropical branches from the very unusual winter blast that was, and is, approaching. My fingers were tingling and going somewhat numb. The wind was gusting to the point of blowing the sheets off a tree we had just covered. I was in total agreement with each announcement posted for our area—freeze warning, lake wind advisory, wind chill warning. Is it possible that the blooming azaelea bush in our front yard was confused? While we are forecast to have windchill readings this evening of 14 to 17 degrees above zero Fahrenheit, we can’t compete with the blizzard conditions of other areas of the country tonight. While weather predictions have become more accurate as technology has expanded to explain our changing environment, we find ourselves where we have always been—not in charge. God has created the Earth with its tremendous heat and bitter cold. He commands the wind and brings the seasons at their appointed time. 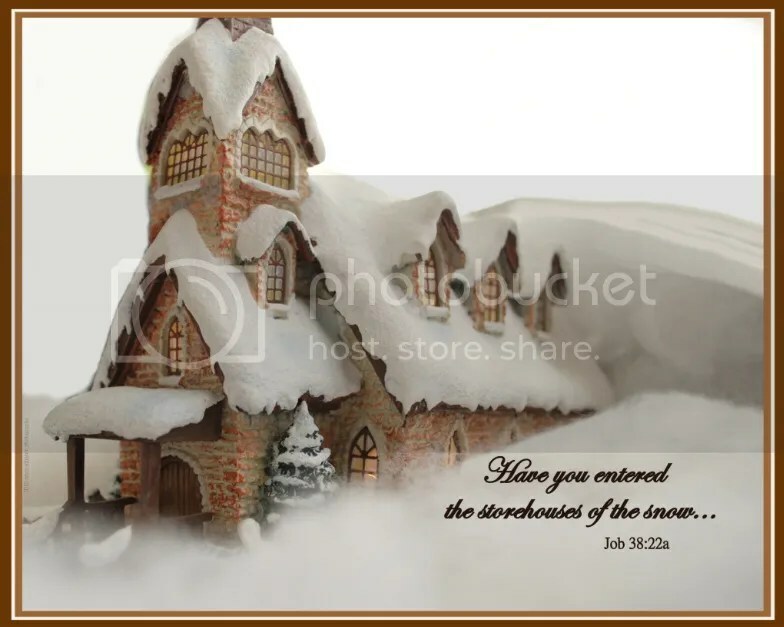 No one has ever seen the storehouses of the snow, yet it appears when and where God chooses. Even as the snow falls, we are reminded of His great power. Great IS His power and great is His LOVE for you and for me. What do you think of when the snow begins to blow? It was a beautiful, sunny Christmas Day. While visiting friends, I took my camera to a lovely dining area with many windows. A nativity scene had been placed on a table there. The afternoon sun was coming in through a window, with a stream of light coming across onto the small figurine of the baby Jesus. Jesus—the Light of the World—come to us as a baby. Within this past year, there has been a change. Not just one change, but several integrated changes that have come together to allow me to arrive at where I am….today. Looking back over the past year, I can see how God has worked in my heart and in the hearts of others that I love. Like subtle color changes blending from one hue to the next, His leading has taken us from one day to the next, first this decision, then another. Almost imperceivably, we have become another year older as we have known God another year, experiencing His unchanging love and faithfulness. Hasn’t it been so with you? In the months to come, God will continue to lead as He has in the past. Taking a quick look at your own heart as you would in the mirror— isn’t there a difference? I wonder what it looked like in Bethlehem 2,000 years ago. Doing a little research, I found that not many miles away was the city of Engedi, which was called "The City of Palms." Olive trees were also a part of the landscape. As the shepherds kept watch over their flocks, I can imagine a deep, dark sky blanketing a quiet scene. 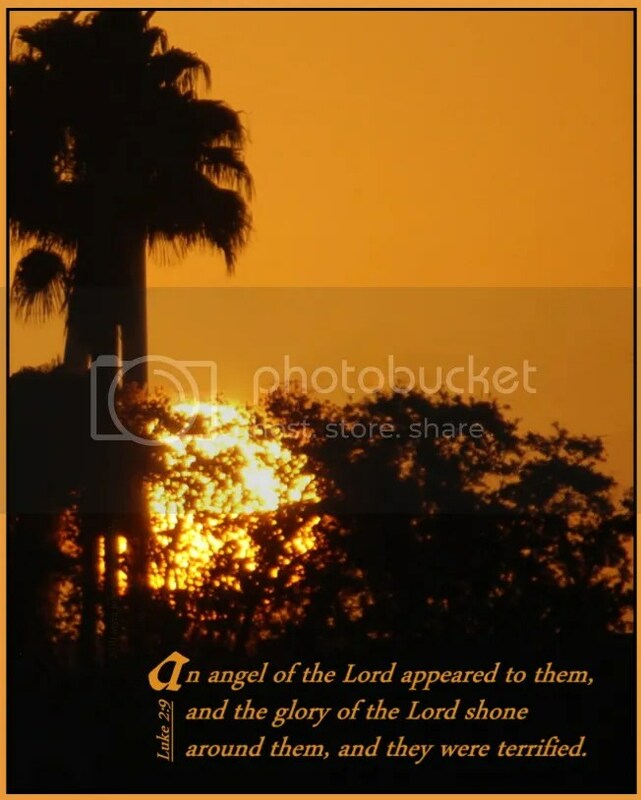 In an instant, the calm of the evening was broken as the glory of the Lord shown around them when the angel appeared. Picture yourself, standing in a dark, remote area with your animals, only to be fully illuminated by the light of God. It is no wonder that the scriptures tell us that the shepherds were terrified. The angel tells them not to be afraid. Chosen from among all people alive on the Earth at the time, these men were the recipients of a fantastic heavenly announcement. Wouldn’t you suppose that during their remaining years of life, their personal priorities and attitudes might have dramatically changed? Many generations have passed since that night near Bethlehem, yet the proclamation given at that hour has been presented to us, as well. 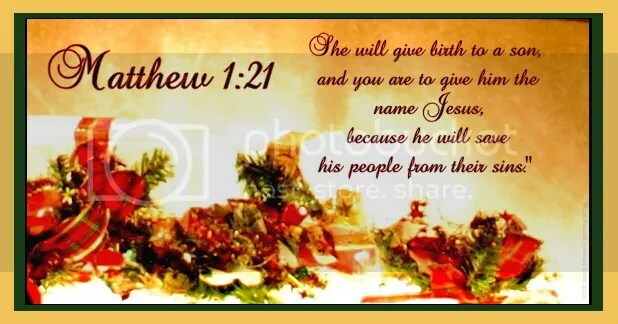 Jesus, the Messiah, has been born to you and to me. Isn’t that cause for rejoicing? watch over their flocks at night. C.S. Lewis is one of my family’s most admired authors. Not only are there books written by him in the shelves of our bookcases, but we have at least one book that is written about him. Being a very talented and intriguing person, there is much to be said about his life and works. If it had not been for a specific day in his life and the events leading up to it, the legacy of C.S. Lewis would have been quite different. While considering Christianity, there were those in C.S. Lewis’ scope of friends who encouraged him toward faith in God. Coming to the realization that salvation was possible through Jesus Christ, he made a decision. Mr. Lewis was now a Christian. He believed. 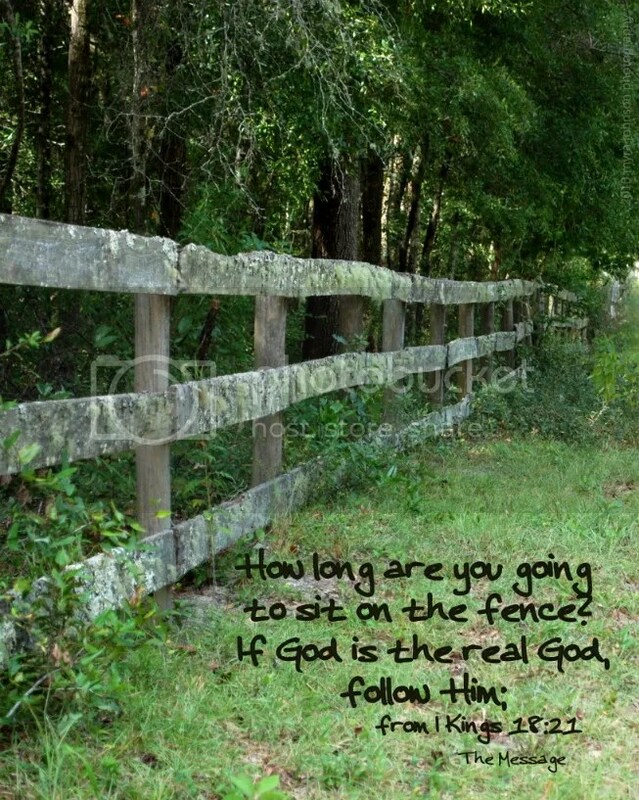 He was no longer sitting on the fence pondering which side to stand on. We must certainly all come to a place in our lives where we have to decide—Is God the real God? Am I going to follow Him? Some time ago, a friend visited my home for the first time. Noticing the front room with the dark wood and leather, family photos and bookshelves, she exclaimed, "This is SO you!!" I wasn’t quite sure how she had arrived at her observation, but I had to agree with her. The room did reflect my personality and preferences. Just this morning, I remembered my friend’s statement as I considered a different scenario. 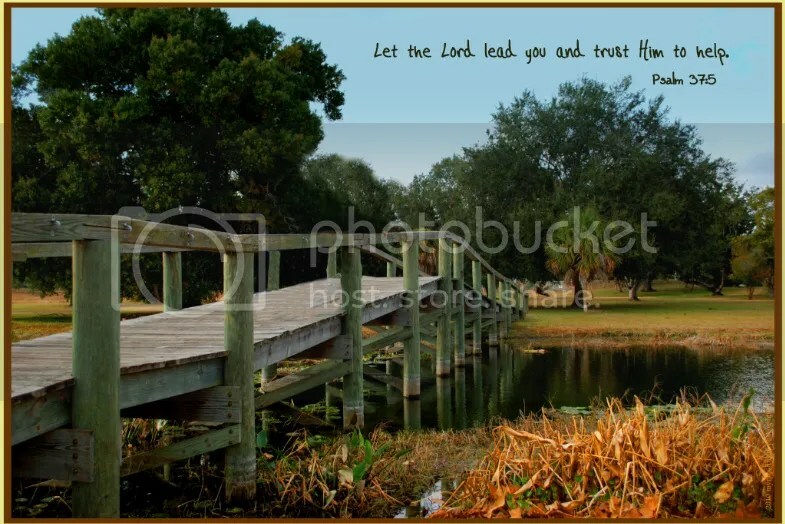 What if I were to bring a friend who knew me well to church…. After entering the building and sensing the love and reverance for God, coupled with acceptance and joy among those gathered there, would they be able to exclaim, "Oh, this is SO YOU!!" This is, of course, what I would hope to be possible. Would they see the same love and reverence for God present in my own life? Would they have felt acceptance and joy pouring from my heart in the days and weeks prior to their visit? Would being a part of those gathered to worship God really be SO me? Lord, please help me to be who you want me to be, consistantly, no matter where I am. It was actually quite humorous. I just could not understand. While at work today, someone was trying to explain something to me. When I related that I did not understand, they simply moved even closer to me and repeated themselves with more volume. The problem with their approach was—-I heard them the FIRST time, as well as the second. It didn’t matter. I was still confused. Finally, after some effort, we were able to communicate. This may seem like a silly statement, but I wanted to understand, but I didn’t understand until I did. 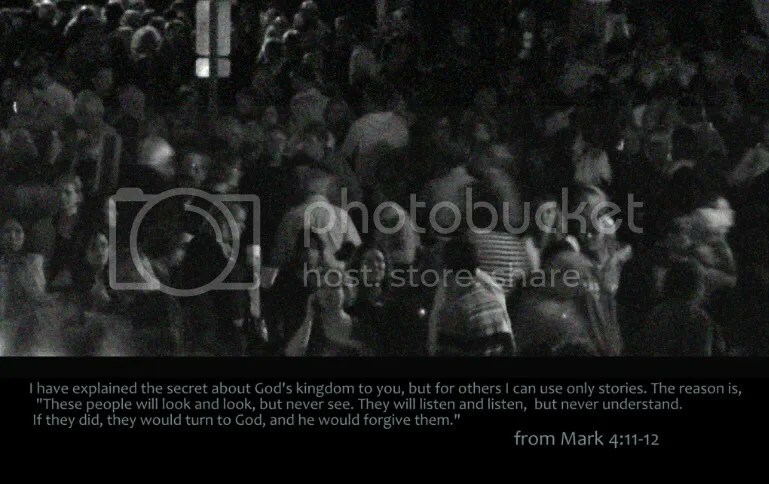 Jesus spoke of people who would listen to Him and not understand. As for me, I truly want to listen—and comprehend. and look, but never see. If an angel came to see you, would that change your life? Would you do some things differently? Would you have a slightly different aspect on life altogether? 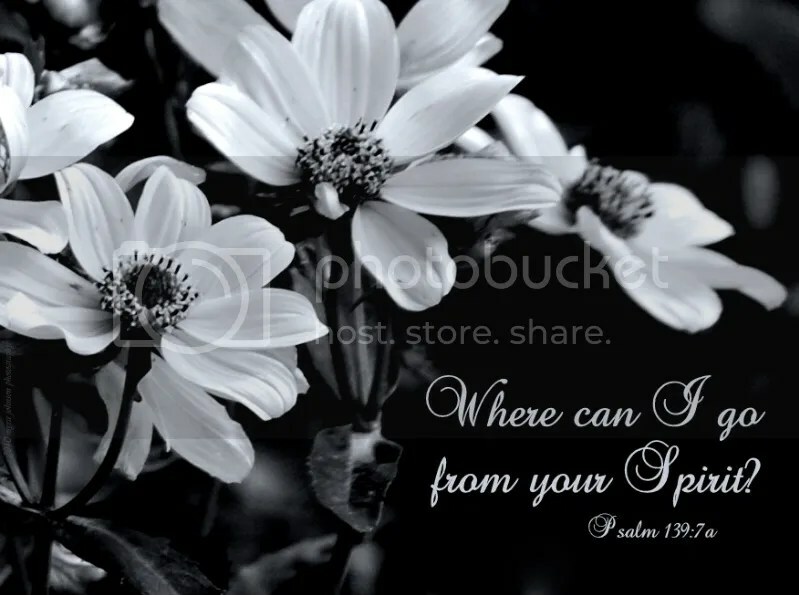 What if God came to see you? Would you stay on the same course in life, or would you be….different? 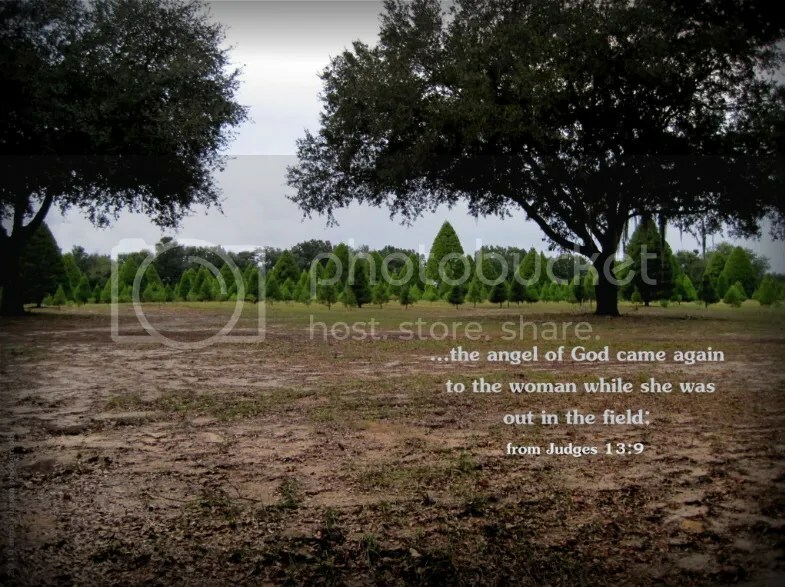 There are many places in the Bible where the Angel of the LORD is mentioned. Is this referring to God? I have read statements that seem to say that it is. 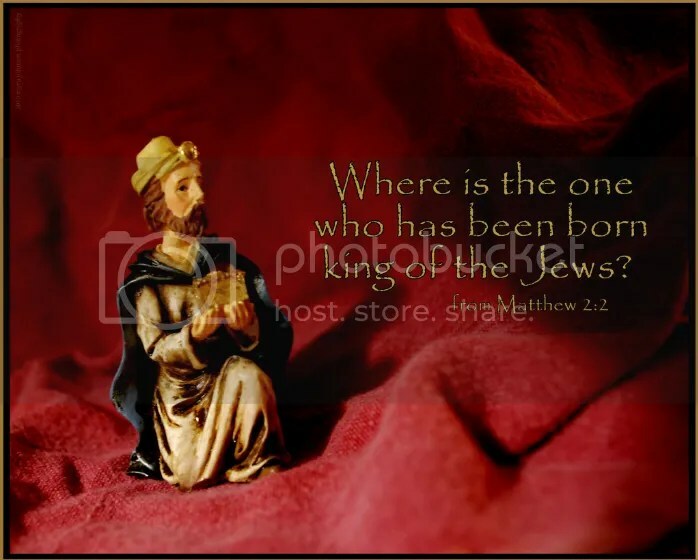 They are told of the birth of Jesus. Quickly, they go to find him. They are excited and eager. Were there old men in the fields that night, caring for the sheep? Were there teenage boys there trianing for the shepherding profession? Whatever the age, do you suppose they changed? Did they live their lives differently than before? I think they WERE changed. Changed to be more like God. 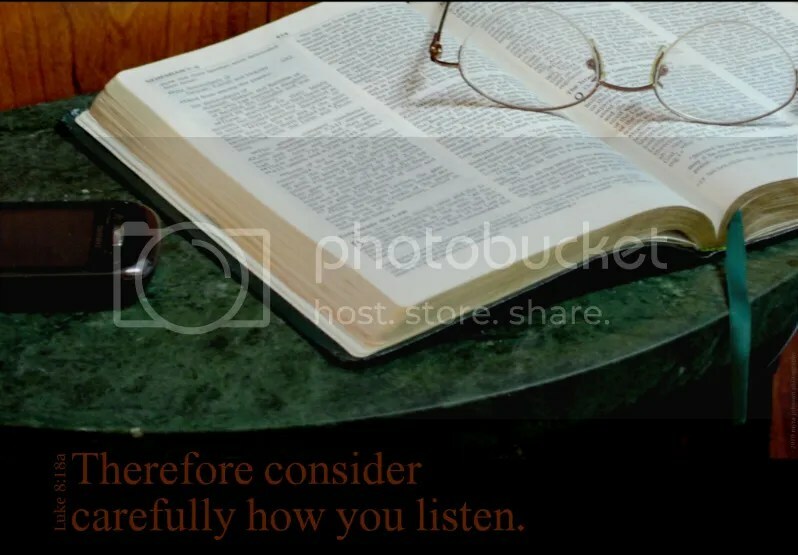 Changed to be more open to hearing that which is from God. If an angel were to visit you, would you change? So many people just don’t know. If you were to take a poll, you would probably find that many people do not know where Jesus was born. If you were to hum the tune to "Silent Night" or "Hark the Herald Angels Sing" you might also get a confused look or a blank stare. Somehow, in a slow, yet overtaking way, the account of Jesus’ birth has begun to be set aside and replaced with other, perhaps more festive, themes. As Christians, we are entrusted with the story. We are entrusted with the truth about Christmas. Why not share that truth with someone today? Greet others with a "Merry Christmas." 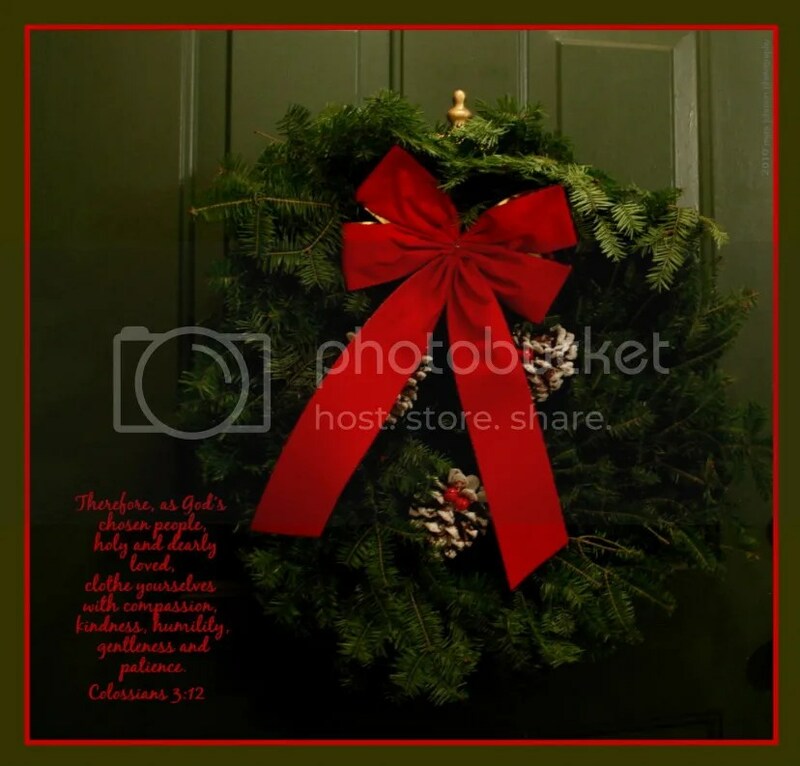 Play Christmas songs that speak of Jesus and His coming in your home. 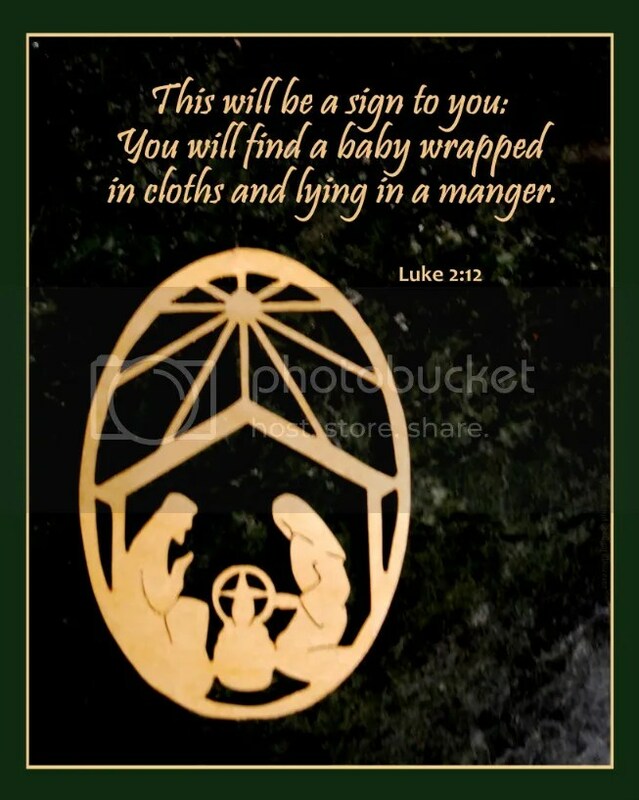 Purchase Christmas cards that depict His birth—then send them! There are many ways to show others what is most important about this season. Look for the opportunities that God places in your path. A wonderfully rare thing happened to me last evening. As I was driving alone to a candlelight Advent gathering, the sky was dark. Going along the highway, my eyes were suddenly drawn to the highest point in the sky that could be viewed from my windsheild. Immediately in front of me, a green ball of fire and light was plummeting to the Earth below. If I could have remained on that straight course indefinitely, at some point I would have been near the place of the meteorite’s landing. It appeared to have burned up before that, however, as the emerald fire vanished before it reached the horizon. Praying and thanking God for allowing me to see such a tremendous sight, I continued on my way. At Christmastime, multicolored lights are found everywhere. The ability to create light from this captured source is actually a relatively new accomplishment, when considering all of history. Green Christmas bulbs adorn decorated trees, buildings, bushes and store fronts. 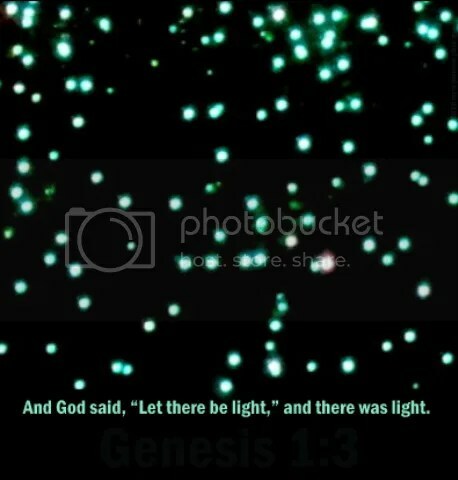 The Original Creator of light allowed me to see His glory through a long lasting, bright green meteor. His power was displayed over the Earth as we take what He has given us permission to use and display it on our own. I was blessed by someone today. Walking into my office today, I found a beautiful Christmas wreath made with branches from a live evergreen tree, sitting on my desk. As of yet, no one has offered a clue as to who this thoughtful gift is from. I know that God is loving me through the thoughtfulness of another. Showing kindness can sometimes take only a moment. The effects can be everlasting. A colleague of mine at work is often heard to say, "An error is only a mistake if you refuse to fix it." Although I had heard her say this before, today was different. As I concentrated on my own task at hand, I was aware of her words spoken to someone else in the room. It was as though those twelve words jumped up on my table and sat there for me to visualize and consider. It was certainly not intended to be a deep, philosophical statement or directive, yet it has continued to linger with me, several hours later. I’m not even sure that I agree with it, for that matter. Errors, or mistakes, may not always be possible to "fix." Putting forth the effort in attempting to make things right or perhaps even better, is a good beginning, however. It could possibly be considered an error or oversight not to have inquired of God initially upon hearing of the upcoming birth. Manoah asked to be pardoned and also asked for the skill to raise the child they would soon have. I believe that he didn’t want to make any "mistakes" regarding such an important revelation. In my own faith journey, have I neglected to keep my "errors" from turning into "mistakes" by not asking God how to "fix" them? I haven’t actually written anything down yet, but I have begun constructing a list in my mind. A list of Christmas gifts I hope to give to my family. The anticipation that they will be pleased brings joy to me. Do I hope that God will listen to me when I am in trouble? Do I hope that God will keep me safe? Do I hope that God will come to my rescue? 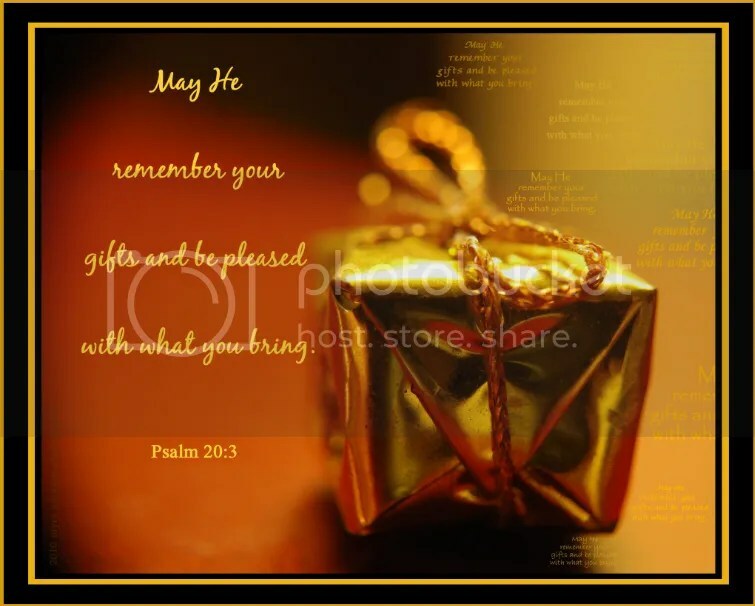 Will God be pleased with the gifts I have given Him? What gifts have I actually given? What would He consider a gift from me? Mixed with the dazzling, sparkling lights that adorn the shopping malls, neighborhood lawns and living room Christmas trees, scenes of the nativity can still be found. This evening, I saw an outdoor home display of a giant train made of lights. Located in the front corner of the property was an illuminated nativity scene. I’m not sure that I actually thought conscious words, but seeing the reference to the true meaning of Christmas left a positive imprint in my mind. Somewhere, far from the busy schedule of the season, waits the quiet realization that we were lost forever in our sin. God made a way to rescue us by sending His Son, Jesus, to Earth. I send and recieve quite a lot of text messages with my cell phone. This morning, an unsettling realization came to me. My phone alerted me that I had received a text message—at least I thought I had. my SMS memory was full. I was instructed to delete the record of my previous messages in order to make room for the new ones coming in. I did not immediately obey, but after church, I began to comply. Being alerted once again that a text was coming through, I erased some past texts, creating the needed space on the memory card nestled snugly within my phone. With an expectant attitude, I looked to see what the new messages were. Now that there was room on my phone, wouldn’t the messages be resent? Apparently not, yet I will probably never know for sure. Walking in the parking lot, I considered what had just happened. My cell phone had been too "full." It could not recieve any new texts. Not only that, once the opportunity to receive was missed, it seemed that future delivery of the same content might not have been an option. What would happen if God wanted to tell me something, but I was too "full" of my own thoughts and considerations to receive His message? Shouldn’t I delete some of the unimportant contents of my mind—worry, discouragement, self-doubt—to make room for what God has to say? or would I simply lose the opportunity? Whatever the case, I learned a lesson from my cell phone today. Until about a month ago, I had never seen a large freight transporation site. Driving with my husband on the highway, suddenly the unusual image of a GIANT lifting…..thing…..was upon us. Trying to figure it out in passing, we came to the conclusion that it could pick up the trailers of big rigs. It was a massive operation; impressive, to say the least. These tall structures were probably lifting enormous amounts of weight high into the air. Sometimes our lives can seem enormously heavy. We begin to falter in our weakness and stress begins to push us down. God knows each situation we face. 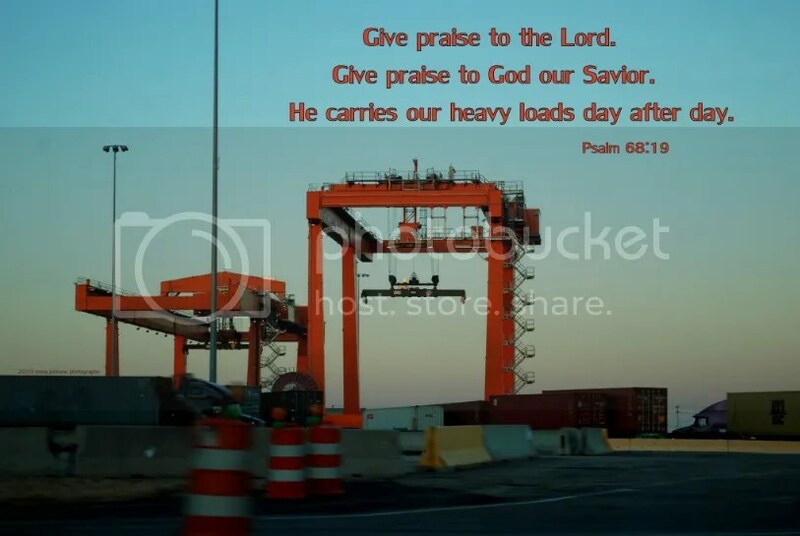 Give praise to the Lord. Give praise to God our Savior. Whatever the problem—whatever the load—He is ready to carry it. Why don’t you take some time to talk to Him about the heavy things you’re carrying. There is none stronger than our mighty and loving God. 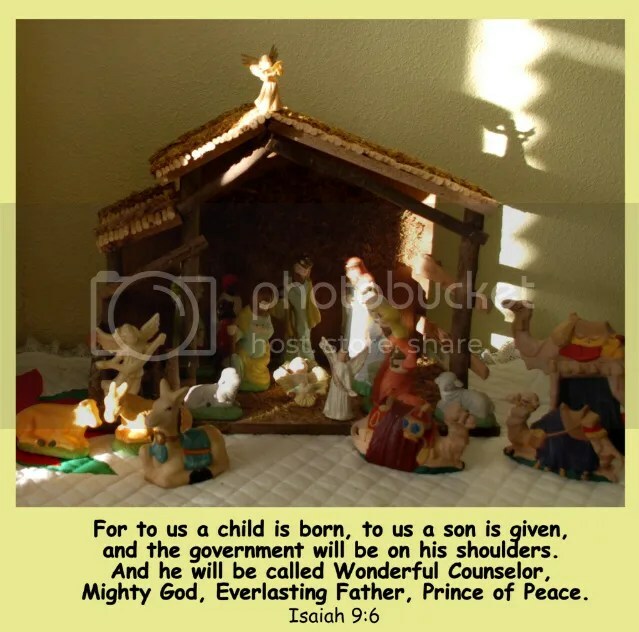 As we celebrate His coming to the Earth as a tiny baby, we may also celebrate the knowledge of His second coming in the future. What will it be like? 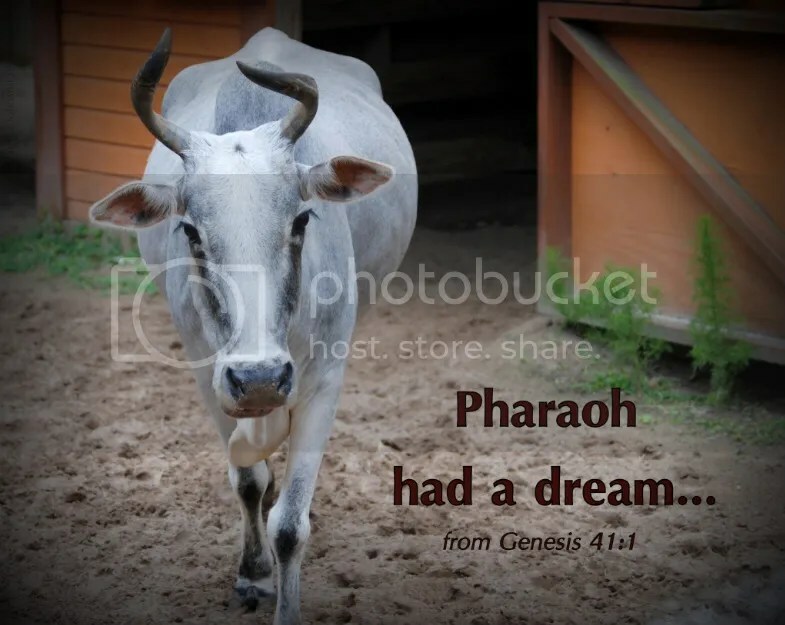 In the book of Genesis, we find the account of Joseph and his appointment to rule over Egypt before the great famine. Pharaoh has two troubling dreams. 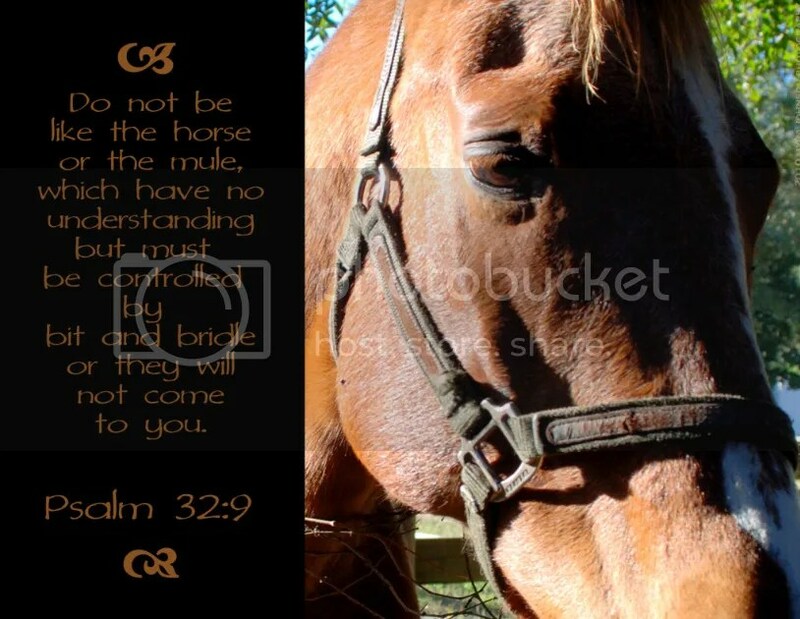 When he can find no one to interpret the dreams for him, his cupbearer tells him of Joseph. Pharaoh decides to place Joseph in a position of leadership and power, second only to himself. The people of Egypt did not perish. 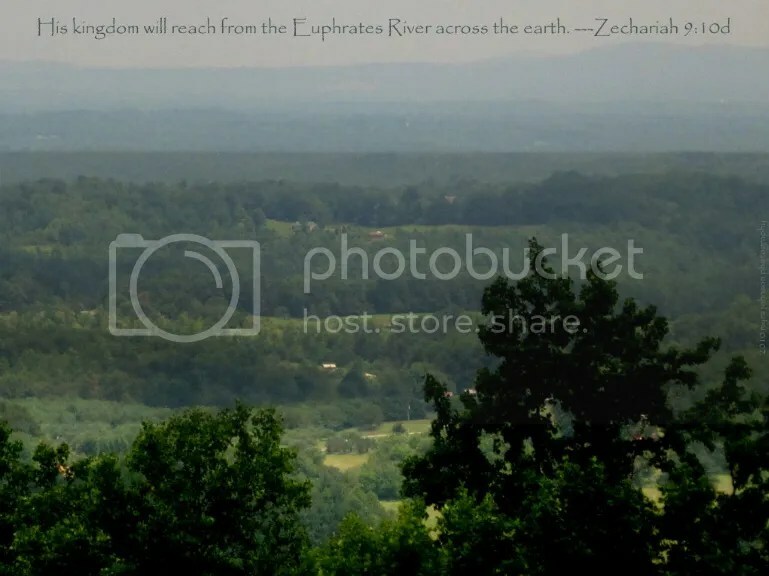 Even in the midst of distressing times–be it financial famine, relational famine, or famine in some other form—God continues to be in control throughout the ordeal.